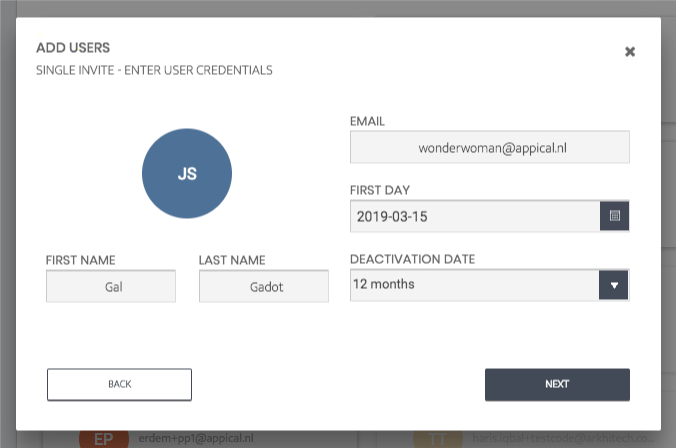 There are three ways to add a new user: by single invite, open invite and CSV-invite. 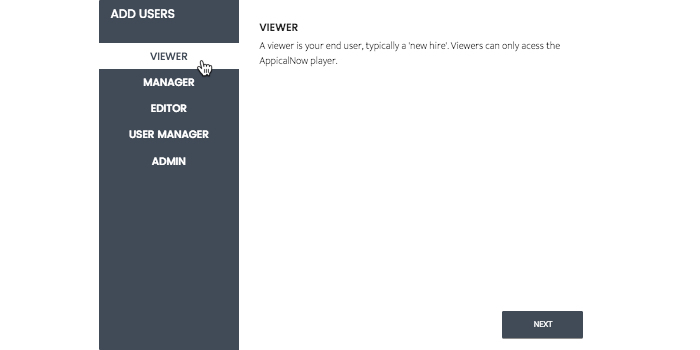 In this tutorial you will learn how to add a new user by using the single invite option. Step 2. Click on 'Add Users' in the top right of the screen. Step 5. Fill in the fields in the screen that will pop up and click on the next button. Step 6. 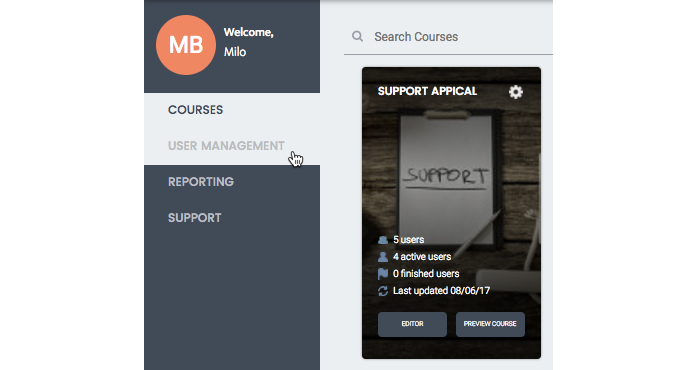 Select the courses where you want to assign the new user to. He/she will receive an invitation to the selected courses by mail. Step 7. Select the groups where you want to assign the new user to. You can assign someone to multiple groups. Step 8. A window will pop up with two options. If you select 'Send Invite' the user will receive the email below. With the name of your organization and the course that you've created. It's possible create a user in the system and send the actual invitation mail at a set date and time as well! To send the invitation mail not right away but at a later point in time, click on the arrow next to 'Send Invite'. Select the date and time you want the invitation to be sent, and the email will head out to your new user accordingly. Note: All times are in GMT (Greenwich Mean Time). Use this website to calculate the time in your region based on GMT. 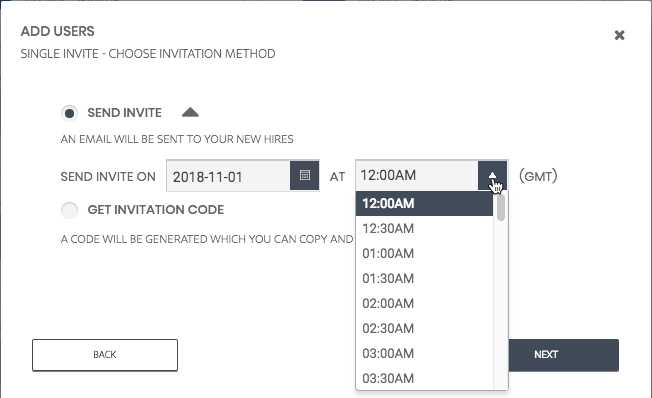 *If you select a date and/or time in the past, it will send the invite right away. 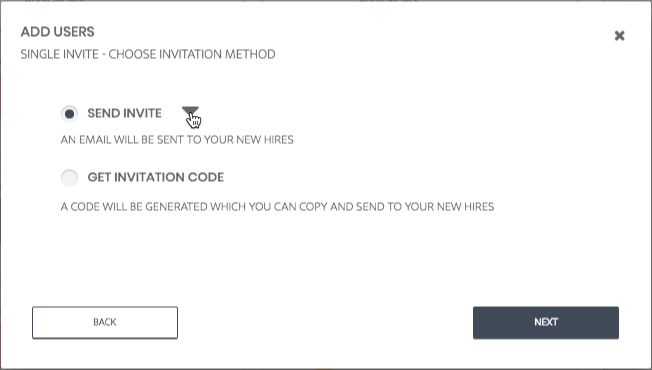 If you select "get invitation code" it will generate a code that you can paste into a more personal email. 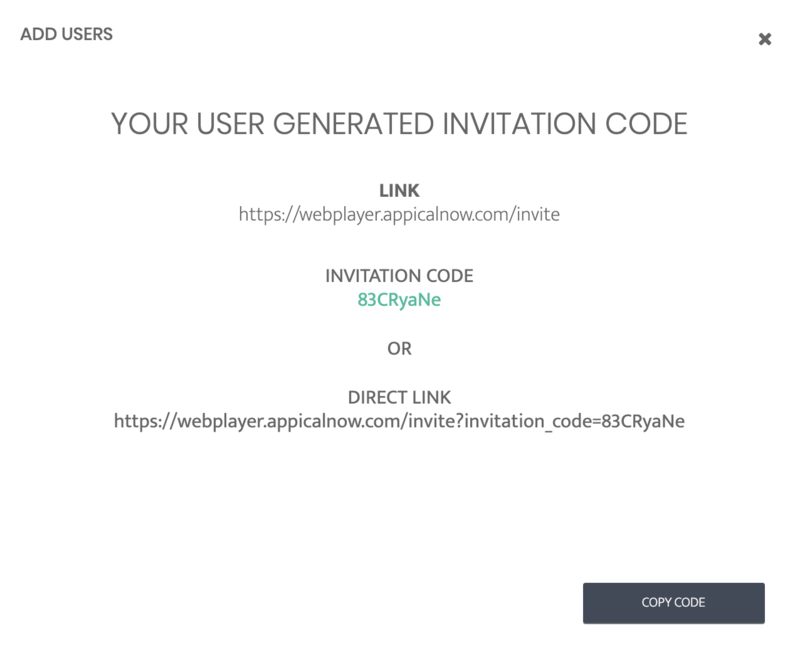 Make sure that you add the link appicalnow.com/invite as well. You can also copy the 'Direct Link' and paste this in an email. If a user clicks on the link, the code will be entered in the textfield already. The user only has to click on 'Verify' and can create his/her password afterwards. Congratulations! 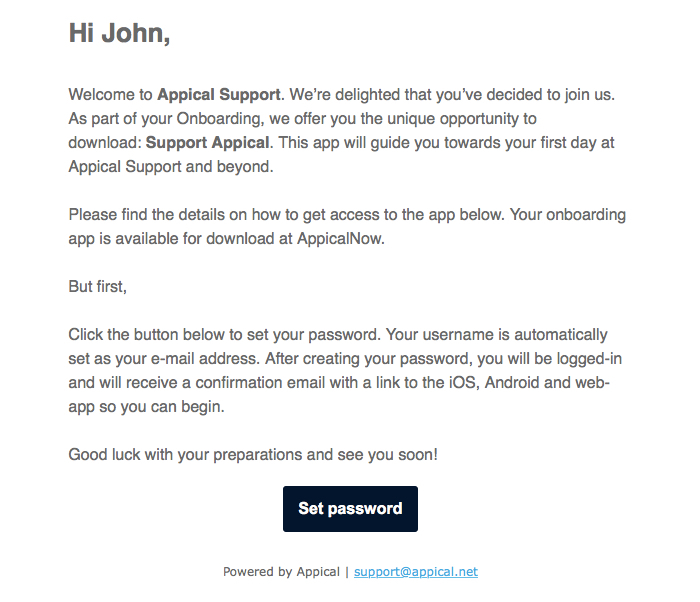 You know how to add an user by using Single Invite.